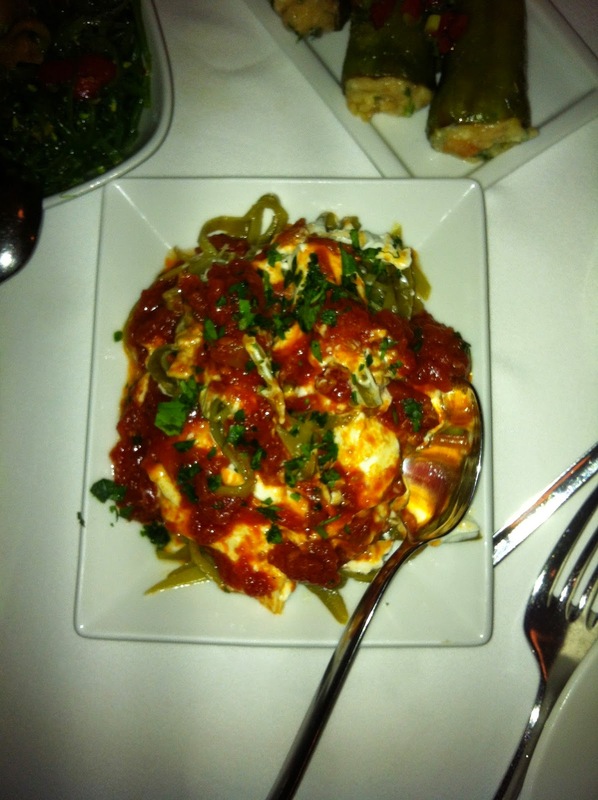 The taste of the food we had at Mezze Restaurant is still fresh in my mind. 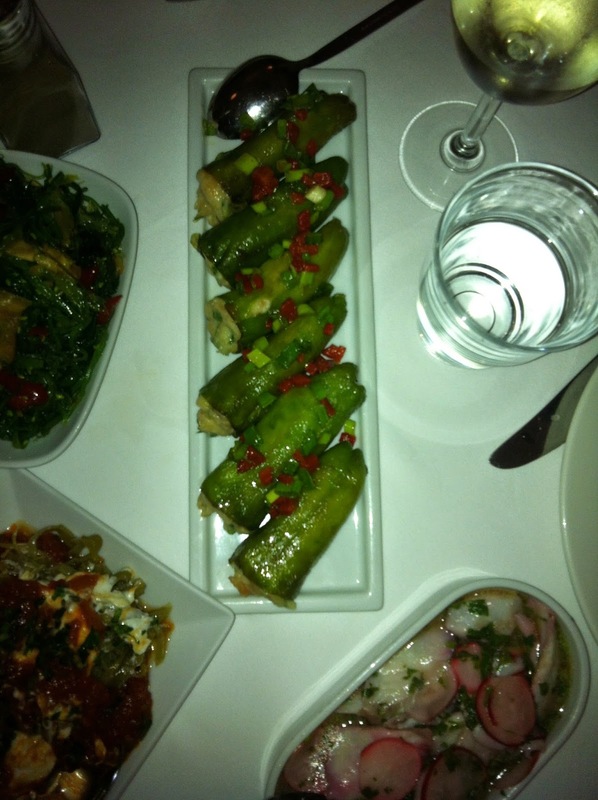 Gençay, chef and owner provided the explanations of the dishes, they are below. 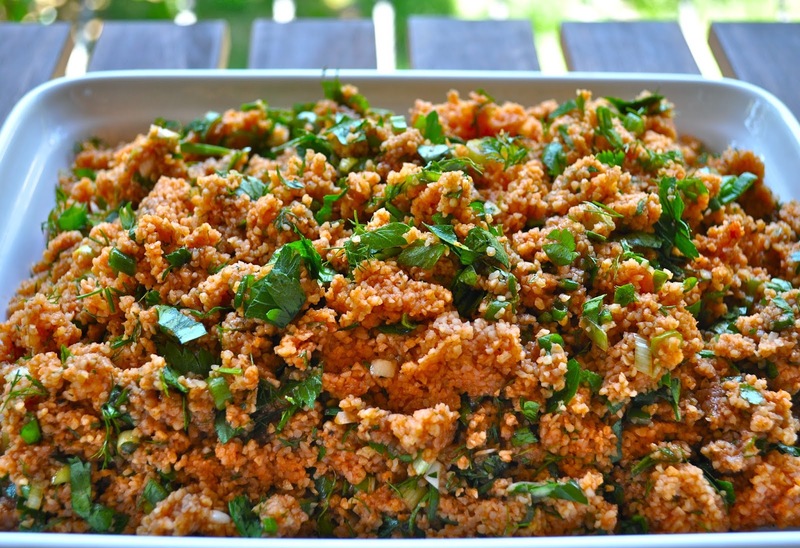 At the very bottom is my recipe for an easy to prepare Turkish bulgur salad called “kısır”. It isn’t as trendy as the new Istanbul cuisine, but delicious and easy to prepare. 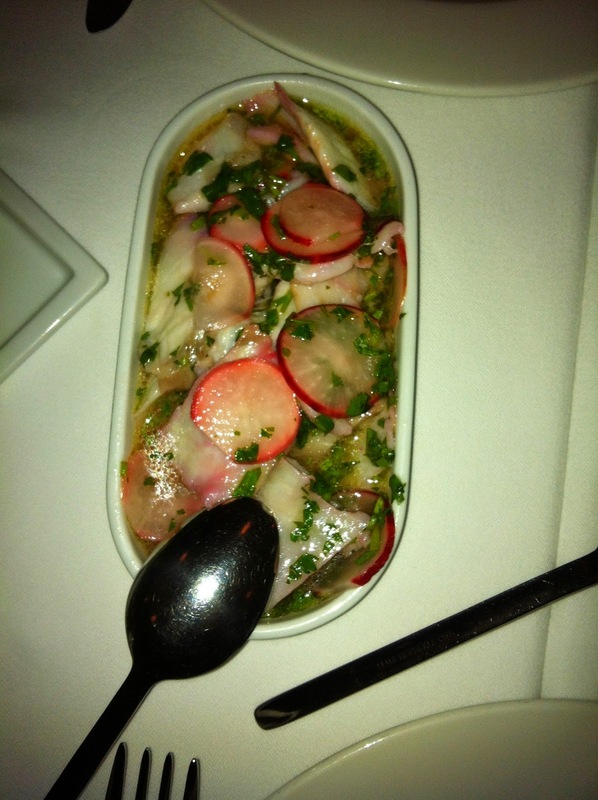 Sea Bass seviche marinated with lime and grapefruit juices and finished with Rose wine, fresh coriander and raddish. Fresh sweet peppers; deep fried and stuffed with smoked salmon, sheep feta, wasabi-mustard and clotted cream. 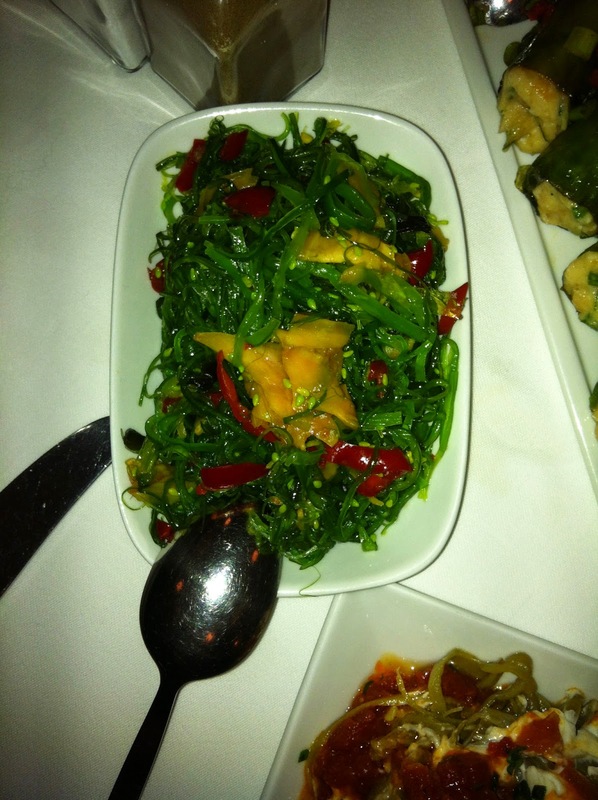 Japanese sea weed (Wakame) with pickled ginger and cherry peppers. 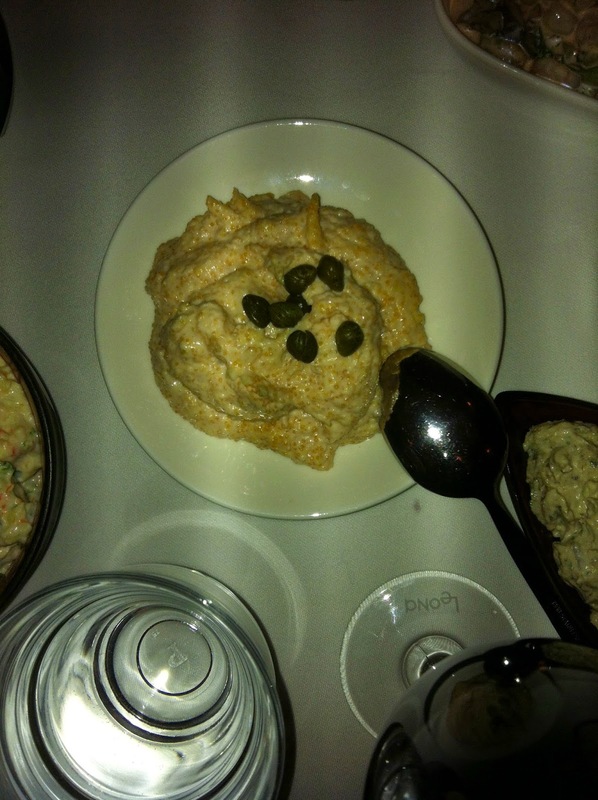 ‘Tarama’ dip; whipped with carp fish roe and octopus pate. 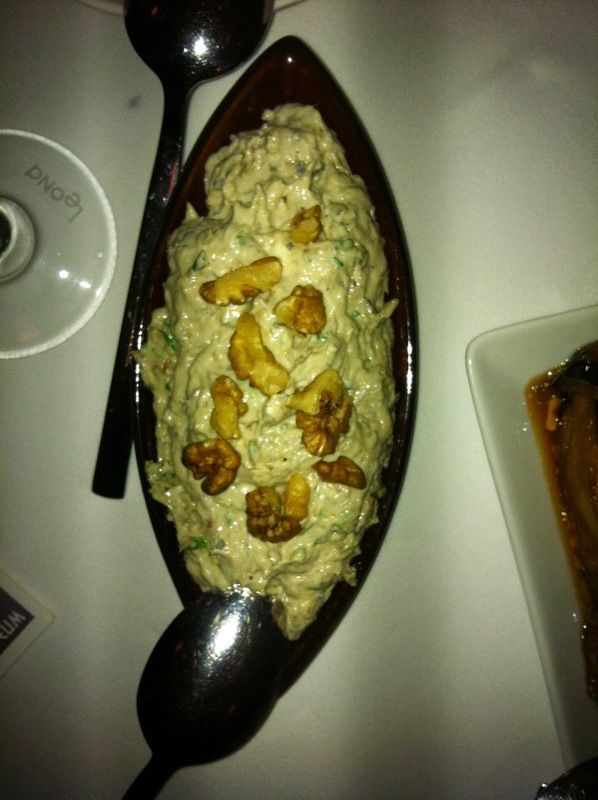 Smoked anchovy pate with mascarpone, labne, walnuts and celery leaves. 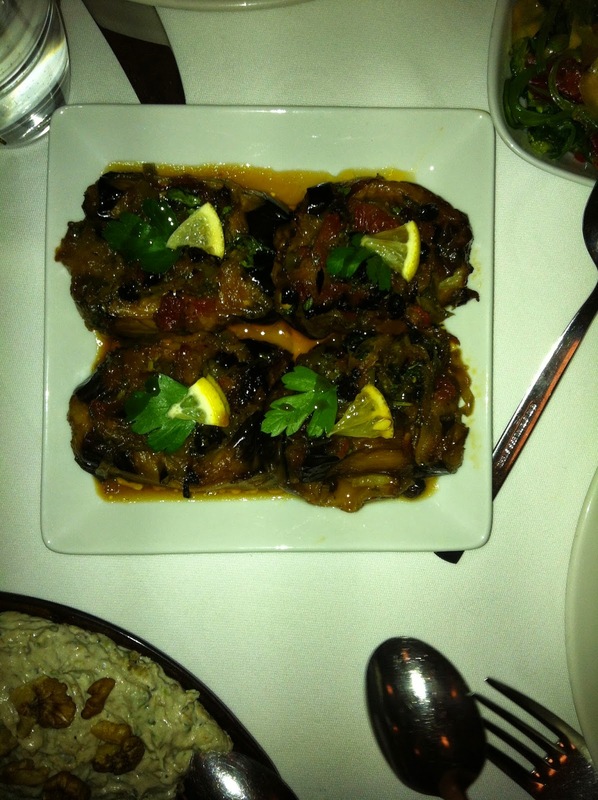 ‘İmam Bayildi’; egg plant chunks baked together with caramelized onions, peppers, tomatoes, currants, herbs and pommegrenate molasses. Monk fish & octopus stew with ‘feta chesse-red wine gravy’ and celery. * It takes about half an hour to prepare kısır. Put the bulgur in a mixing bowl. Add the boiling water over it. The water should completely cover the bulgur by about ¼ inch. If two cups isn’t enough, add a bit more water. Cover the bowl and set it aside for about 15 minutes to allow the bulgur soften (this duration may change if you use larger bulgur). Meanwhile prepare your vegetables. Chop all as fine as you can, the finer these are the better your salad will be. Using your hands and fingers fluff the bulgur that has been waiting (so it does not stick). Add the pepper paste and some oil and stir until it is evenly distributed. Then add the finely chopped vegetables. Stir again until all are evenly dispersed. Add the lemon or pomegranate sour. Add the peppers and salt. Now, you can keep your kısır in the frigde till you serve it. For a dinner service you can prepare the kısır in the morning, but if it waits over the night the bulgur swells more than it should. Before you serve, fluff it with your fingers or utensils. *** Kısır is very good with bbq meats, chicken and fish. It is easy to prepare and is filling. If you like hot, you can put more red hot chilli peppers.